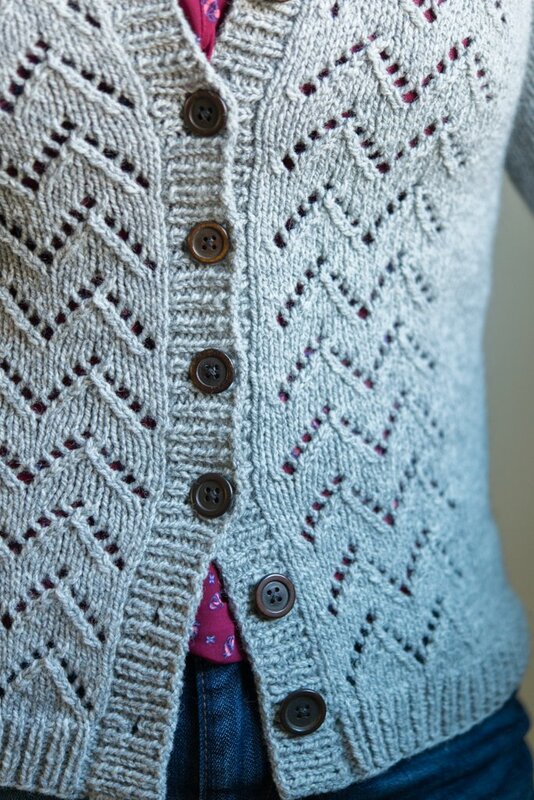 Charlie's Cardigan is a kinda-sporty, kinda-preppy crew neck cardigan that slips quietly into wardrobe heavy rotation. It looks good with button-downs and a skirt, and is equally at home with a long-sleeved T and your favorite pair of jeans. 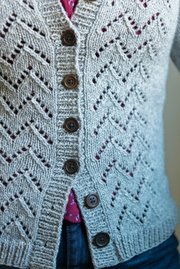 Its lace chevron pattern is interesting to knit and looks great, but isn't so eye-catching that your whole outfit has to be about the sweater. It's worked in pieces from the bottom up, and then seamed. 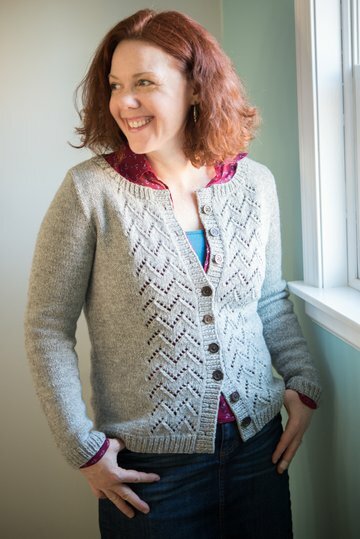 (If you're using a rustic yarn like Swans Island All-American Worsted - and I highly recommend that you do - be sure to have some smooth yarn on hand for seaming.) 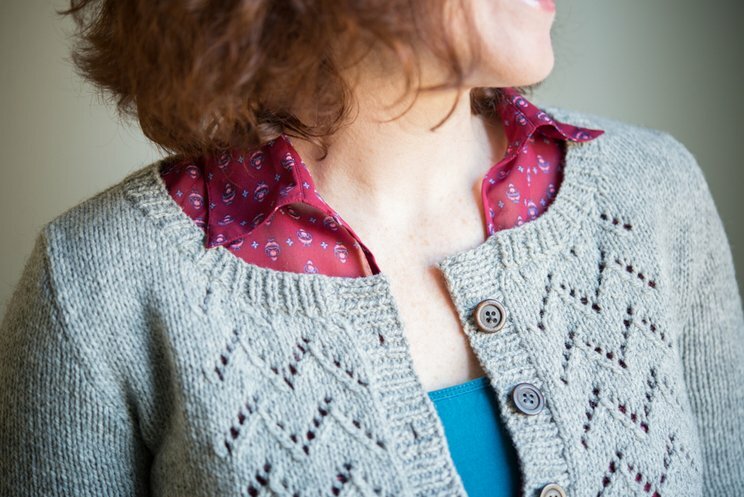 Edges are worked in 1x1 ribbing, and the lace detail is worked on the fronts only. The sample is shown in Swans Island All-American Worsted, a stunning, soft, lofty worsted-weight woolen-spun yarn. 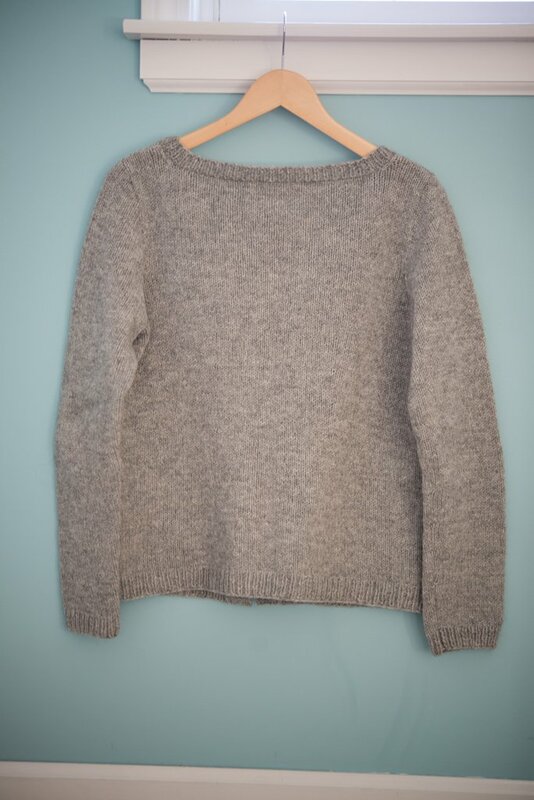 It looks and feels incredible, and I strongly recommend it for this sweater. We used the color "Granite". 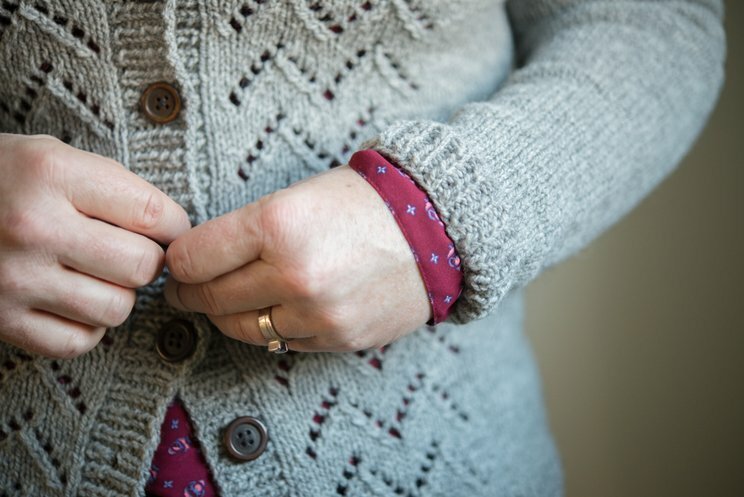 I strongly recommend Swans Island All-American Worsted for this sweater. 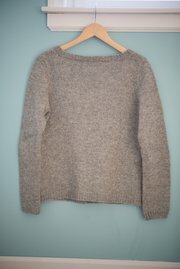 It's shown here in "Granite", and is a stunning, soft, lofty worsted-weight woolen-spun yarn. It looks and feels incredible, and wears beautifully over time. It's available in a wide range of beautiful heathered colors.